Recently I have been playing through Dreamfall: Chapters, I’ve been having fun and it is serving as a good follow up to Dreamfall: The Longest Journey . There is one thing that I would like to criticise however. Whenever a choice is made in the game regarding another character the game tells me that the other person will remember that, or that this choice will affect the relationship between the two characters, or something else along those lines. Later when the consequence of the choice becomes apparent the game lets me know that my choice has had an impact on the game’s narrative. In all fairness this isn’t a feature unique to Dreamfall: Chapters, I merely use them as an example because it is a game that I am currently playing. The Wolf Among Us was guilty of the same thing. On the face of it this would seem like a harmless feature but I have to come feel that it is a feature that would best be abandoned because it discourages thinking about the story. When it comes to enjoying a good story part of the fun comes from thinking about it afterwards, wondering what might have happened if characters had acted differently, and why they acted the way they did. This is even more true of games like Dreamfall Chapters, in which the player can guide the narrative and wonder how things may have unfolded differently. When a game sign posts the effect of a choice the effect is to remove all ambiguity. The player no longer has the fun of speculating how their choice has affected the game, they’ve been told explicitly what their choice has resulted in. The player doesn’t need to ponder the the nature of the relationships that unfold with the game as they are given all the answers. This takes away some of the mystery from the story and breaks some of the immersion of the game with its story. Imagine watching a movie, now imagine trying to watch that movie with someone telling you “that was important”, or “that happened because of that thing that happened earlier”. Unless you had turned on the commentary option it would be very annoying. It also serves to highlight the limits of the game. No game can offer 100% freedom in what you do or how you change the story but a good game can distract from you this and make you feel like you really made a difference. If you know exactly what you did to change it then it highlights the limits of your affect on the story. This ties back to my earlier point. If the game didn’t feel the need to highlight the impact of every choice you made then it would be harder to pin down how the game is different because of your actions and choices. This would result in the game’s plot unfolding in a much more organic fashion that felt like more than the sum of its parts, rather than a series of set choices with a story built around them. I should stress at this point that experiencing this has never ruined my enjoyment of a game. I raced through The Wolf Among Us because I was so captivated by the story. 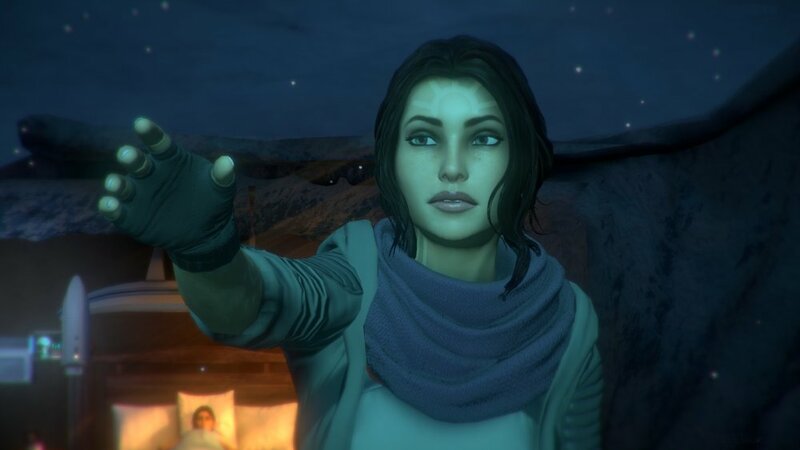 I am similarly enjoying Dreamfall: Chapters and I do feel like my actions as a player have made a difference. I just wish that the game didn’t feel the need to signpost every decision. Avoiding this feature would, in my opinion lead to a story that felt a lot more natural. Sometimes a little subtlety goes a long way. Previous articleThe Sleeping Dogs/Stranglehold Crossover that Needs to Happen!